Jervis Bay Marine Park on the NSW South coast covers approximately 215 km2 and spans over 100 km of coastline and adjacent oceanic, embayment and estuarine waters. It extends from Kinghorn Point south to Sussex Inlet. It includes most of the waters of Jervis Bay, with the remainder forming part of the Booderee National Park on Bherwerre Peninsula. The seaward boundary is 1.5 km offshore of St Georges Head, Cape St George, Point Perpendicular, Crocodile Head and Beecroft Head. It contains the tidal waters of Currambene Creek, Moona Creek, Carama Inlet, Wowly Gully, Callala Creek and Currarong Creek, and the mean high water mark along the shores. The park was established in 1998 and its zones and management rules commenced in October 2002. The marine park Zoning Map (PDF, 1424.53 KB) and User Guide (PDF, 667.07 KB) provide information about the zoning arrangements and management rules in the park. Some of the content on this page may not be fully accessible. 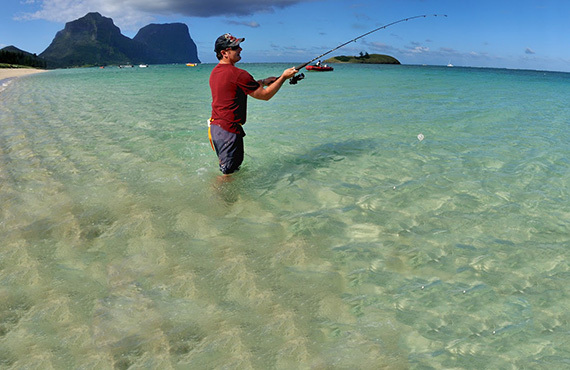 To obtain an accessible version of this content contact the author marine.environment@dpi.nsw.gov.au. The Jervis Marine Park (Commonwealth Waters)covers approximately 2400 km2 of the continental shelf. 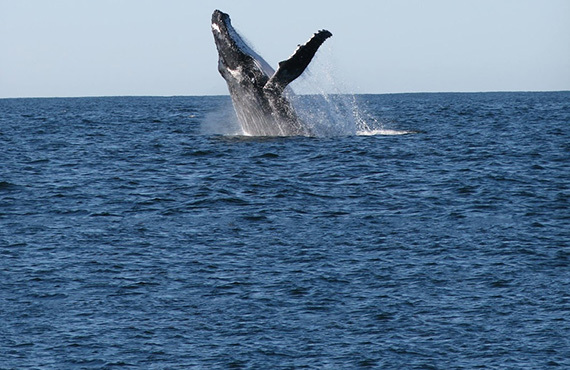 It is located approximately 8 nautical miles further offshore from the Jervis Bay Marine Park. For more information visit the Australian Government. 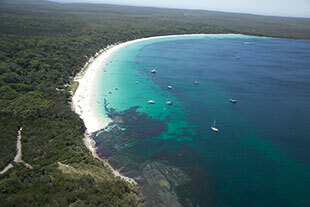 Booderee National Park is also located at Jervis Bay and includes 8.75 km2 of Jervis Bay. Please visit Booderee National Park and the Australian Government Department of Environment for more information. mix of ecosystems, habitats, flora and fauna. 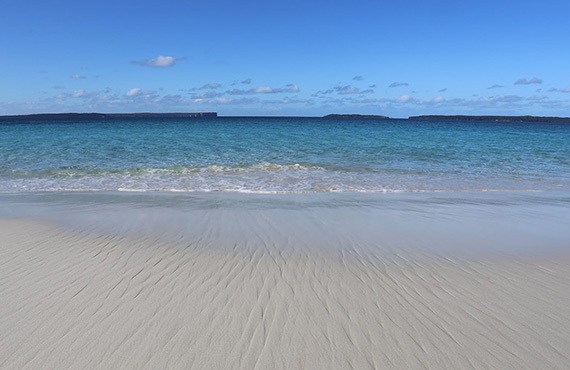 Jervis Bay's clear waters are largely due to the joining of warm water from the East Australian Current and cooler water from the Bass Strait. With periodic upwelling of cold, nutrient-rich waters from the nearby Continental Shelf, these combined currents flow clockwise around the bay, completely flushing it out every 24 days or so. 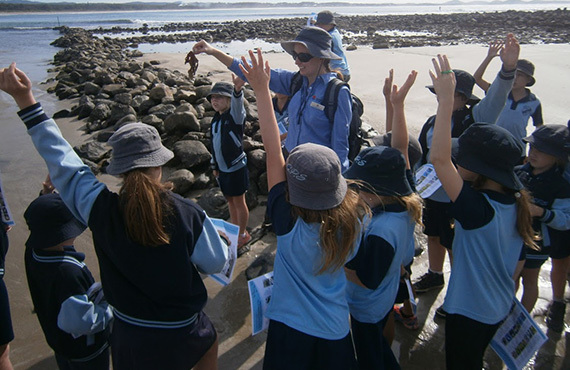 Landforms provide a variety of habitats including deep water cliffs, exposed and sheltered sandy beaches, rock platforms, rocky reefs, soft-sediment bottoms, kelp forests, small estuaries, expansive seagrass meadows, mangrove forests and open ocean. 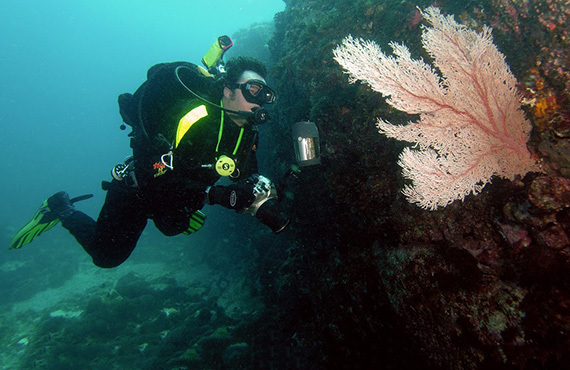 The region supports over 230 algae, hundreds of invertebrate and over 210 reef fish species, and sharks, rays, many marine mammals, birds and reptiles, including several threatened species. 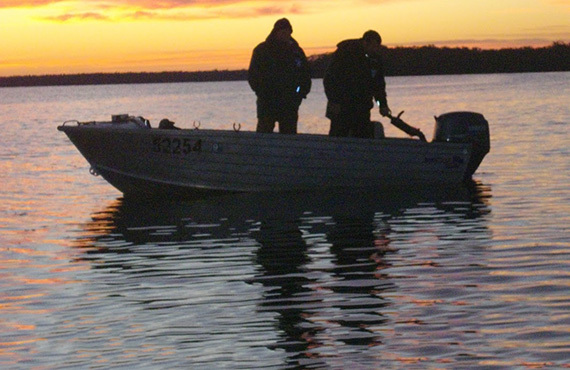 Aboriginal people have had strong ties to the Jervis Bay area over thousands of years and many culturally significant Aboriginal sites exist within the Marine Park.